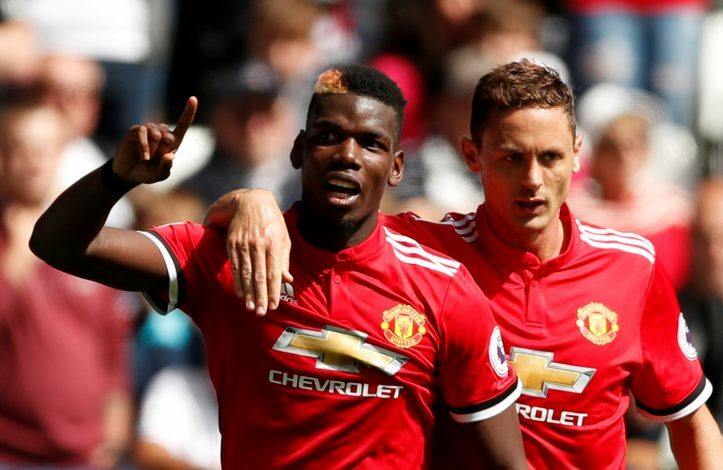 Manchester United have done a repeat of their scoreline of the first match by beating Swansea 4-0 away from home. The Red Devils had a slow start to the game, but a strong showing in the second half ensured an easy victory for the team. 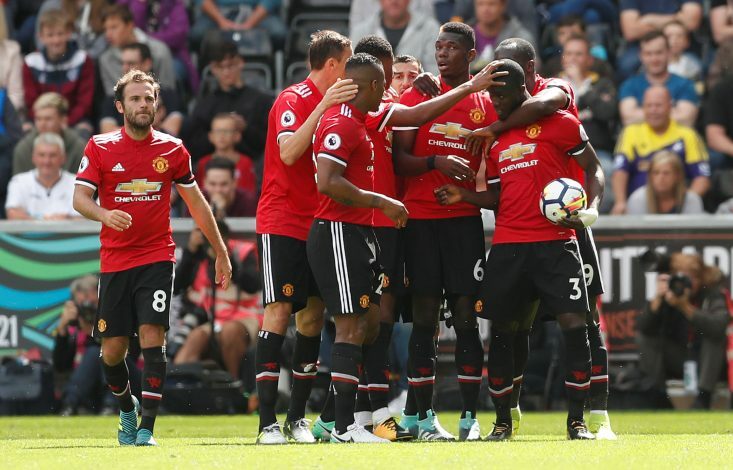 The result will certainly please Manchester United fans across the globe, who have seen their team score 8 goals in two matches; without conceding a single one. The former Arsenal goalkeeper had a nightmare of a game. The Polish shot-stopper showed great composure to prevent Rashford from opening the goal scoring in the first half, but was poor after that. His defence didn’t help him much either. The English centre-back was too adventurous and casual at times. Focused more on playing the ball out from the back than what he is expected to, i.e. defending. Bartley looked solid for the 66 minutes he was on the pitch. Was easily the pick of Swansea defenders today. The Argentine was quite good till Manchester United flicked the switch on in the second half. Could have done better for the 3 goals conceded in the 2nd half. The debutant Spaniard, as expected, showed great industry in the middle of the park. However, he was not influential going forward and in helping his team create chances. The English right-back was decent going forward and caused Blind problems on a few occasions. Coordinated well with his team-mates. The strong Dutch midfielder was wasteful with his passing and didn’t influence the game as he would have liked. Got a yellow card for a forceful foul. The former Tottenham midfielder was perhaps the best player for Swansea for almost an hour, as everything good for the home side came through him. However, the Englishman was also at fault for one of the goals, as he gave away the ball cheaply. The Swedish left-back was lively down the left wing, but couldn’t help his team create many chances. Didn’t look too bothered to defend. The Ghana international was the best player for Swansea on the pitch, as he was the only one who gave Jose Mourinho’s team something to think about. Could have put his team into lead early into the first half, but his effort came back off the woodwork. The lanky English youngster had the best chances to score for his team, but he spurned them all. Paul Clement will be eager for his first choice Llorente to return after Abraham’s wasteful performance today. Substitutes: Wayne Routledge: 5.5, Oliver McBurnie: 6, Luciano Narsingh: 5.5. The Spaniard didn’t have much to do for the second match in running. Other than Jordan Ayew’s early effort, the goalkeeper wasn’t troubled at all. The Ecuadorian showed great work rate, as always, by running up and down on the right wing. Carried out a number of useful inter-plays with Juan Mata. 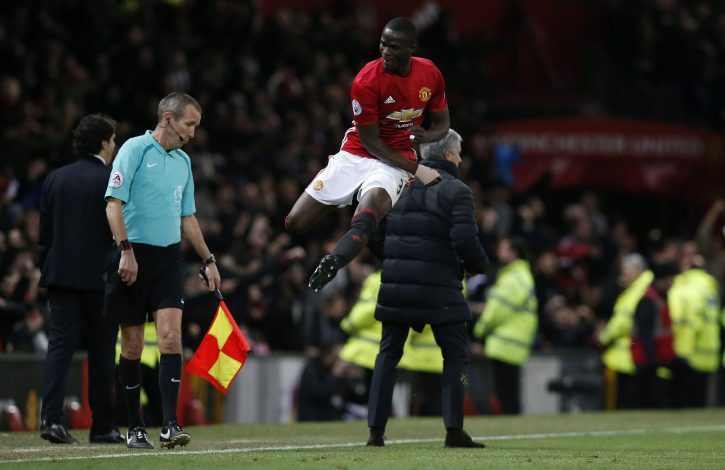 The Ivorian centre-back opened the scoring just before half-time, when he showed great agility to send a bouncing ball in the net after Pogba’s header was saved by the goalkeeper. Defensively, did the business when he was needed. The English defender looked solid once again by putting in a good defensive performance. Struck the bar in first half from a set-piece. The Dutch defender contributed in both defence and attack. Uncharacteristically, looked shaky at occasions. The Serbian has become one of the most crucial cogs in this machine of Mourinho. Showed great sense of positioning in midfield to put a stop to many Swansea attacks. Was intelligent with his passing as well. Pogba was having a bad game till he assisted one and scored another just like that. The record Premier League signing showed how good and how bad he can be in this game. Was perhaps lucky to not get a second yellow card in the first half itself. Rashford showed glimpses of his quality and pace on a number of occasions. Yet, his decision making remained questionable before he was subbed off in second half. Without a doubt, the best player on the pitch. The Armenian has started to show his worth by building up on his performance of last week and providing two delightful assists today. The Spaniard had a poor game by his huge standards. Tried too hard to create something but kept failing mostly. Subbed off in the second half. If the Belgian continues like this, he will shut a lot of mouths who questioned his hefty transfer fee. Took his goal calmly over a diving Fabianski. Substitutes: Marouane Fellaini: 6.5, Anthony Martial: 7.5, Ander Herrera: 6.